Vaughn Smith, PCMP, PMP Certified project management professionals, (PMP)®, should consider obtaining renewal credits by publishing articles. Get PMP renewal PDU credits for articles published. During a trip to England, I was very pleased to be able to visit Wymondham near Norfolk. My ancestors have lived in this town from at least 1830. The town is a typical beautiful small English town with nice ancient features mixed with modern shops. There is a town market cross, (store room), that dates from the 1600's. It replaced the older one that was first constructed in the 1300's. The local abbey has a large cemetery with old grave markers. Unfortunately, many of these were made of carved sandstone. This material erodes during decades of exposure to the wet English weather. The town has a historical society, luckily, that has mapped the markers. They provide a map of the markers with inscribed names. When visiting England for genealogy research, be sure to check the local area for any similar societies. They can really help with your search for ancestors. In addition, the local churches often have records of people. These may include references to your ancestors. Cemeteries are often sources of new family information. For example, a grave marker for an unrelated person described the particulars of the deceased. The marker also noted that it had been funded by a relative in Australia. This allowed the family to gain insight into what had happened to a person missing from their genealogical studies. England is full of many old sites that will both entertain and educate the traveler seeking to explore their English heritage. Trips to England often include visits to local cemeteries. These are typically attached to churches but can be located alone at the village outskirts as well. There may be guide maps or historical information locally available to help you find the marker stone of an ancestor. Many grave markers are quite ancient and may be in poor condition. England previously had some of the worst air pollution in the world, although it has improved in modern times. The damp weather and pollution has rendered many grave markers quite difficult to read. There are archival efforts underway across England to save those inscriptions that are still legible. 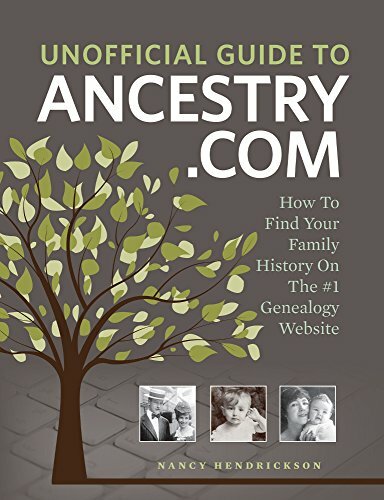 This will help current and future genealogy research efforts. My ancestral home features the Green Dragon Pub. This establishment is one of the oldest in England. Founded in the fourteenth century, it is one of only a few medieval public houses left in the country. It is a treasure in the local area, and in Norfolk, generally. To visit is to gain a rare historical experience. The Wymondham Abby is a major historical site which has been in service from about 1130. Over the years, many changes have been made. A monastery was present on the grounds but was ordered destroyed by King Henry VIII during the dissolution of the Catholic church. The Abbey features a large tower which was finished in the early 1400's. Another tower was built but pulled down due to the poor condition. A visit to the Abbey is a treat for anyone who is in the area. Popular tales indicate that an ancient tunnel once ran from the Abbey to the Green Dragon pub. This would allow monks and clergy to sneak away for a quick pint of local brew. Whether this is true or not has not been definitively proven. A exhaustive search for a tunnel has not been made, evidently. While it certainly could be true, the distance is quite far. Such construction would have been a serious undertaking, requiring a lot of engineering. If it ever existed, it would have been very dangerous and is certainly not in operation today. 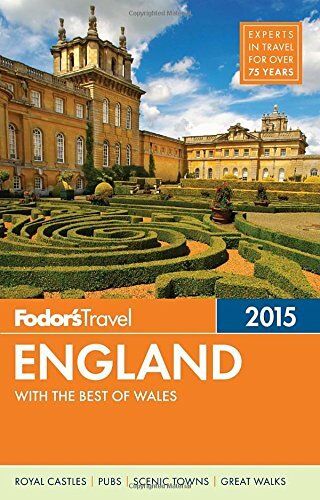 Travel to the Norfolk area is best done by Britrail. Trains leave from King's Cross station in London bound for Cambridge. From there, trains depart for Norwich. Travelers can disembark at one of the smaller towns along the line. Like most English towns, these feature the train station near the center of the action. A short walk into town is all that is required to enjoy the local scene. Travel to the area is also possible by private car. This is less desirable for tourists, however. While traffic in the area is generally light, there are obvious issues required. A car must be hired. Travel on unfamiliar roads is needed. Tourists do undertake such trips regularly but the train is far easier. Coupled with visits to the Old Country, people today can research their ancestors online. The United Kingdom government maintains various databases that provide access to family records. Census information, ship manifests, armed service records, and more, are available online. In addition, other agencies maintain historical records as well. Birth, marriage and death certificates can be searched. The indexes to these documents are easily reviewed. A family name can be researched when little is known. Obviously any known facts will help to accurately identify people. For example, searching by name is more successful when the birth date is also known. Unfortunately, the old records were often saved with errors. As well, dates were not always accurate. Some events were recorded some time after the actual event. These types of variances make searches more difficult. Check for online vital statistic databases that can be searched. You can enter in the names of your ancestors. The more information you know for certain, the better the search can be. This is really true for those of us with common last names like "Smith", "Jones", "Clark", etc. Remember that many people in bygone days used simple names. "John", "Mary", "Robert", etc, are often found in the old records. The English official records are organized by registration district. Some of these have changed over the years. As the records go back nearly 200 years, many changes occurred in the counties where registrations were kept. The central information has been well kept, generally. The old books have been largely digitized. This allows easier searching. When a particular ancestor is identified on the official registration index, a copy of the certificate can be ordered. There is a fee for this service which can be paid online with a credit card. The appropriate birth, marriage or death certificate will be forwarded in the order. Very interesting article. Sounds like a fantastic trip and an amazing experience. Family history can be a lot of fun but as you have probably found it can be a lot of work too. Online researching sites make it a lot easier. We have spent years joining many mailing lists and genealogy sites. Like you say, you need to get birth, death certificates to prove that the person is really a relative. If you make a mistake and add someone wrong it can cause a lot of work removing that line and adding the correct one. It can be fun especially finding all the things hidden in the closet that you may not expect. Great Article.